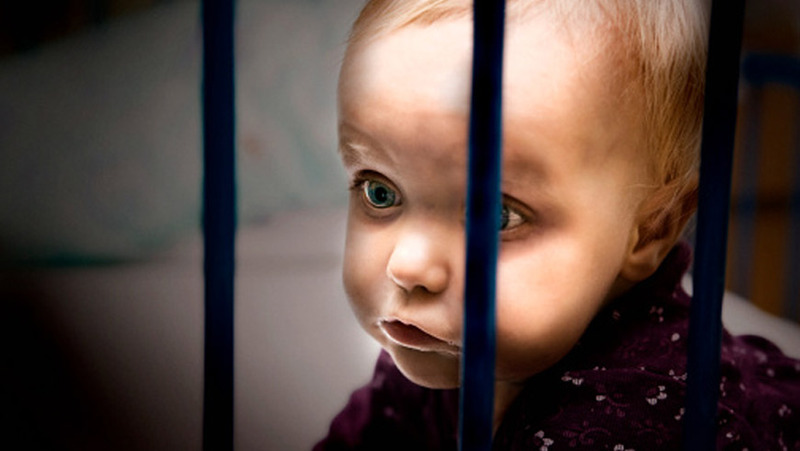 Dr. Ruth Martin says babies have the right to stay in prison and the Supreme Court of British Columbia agrees with her. While the thought of babies behind bars is shocking to many, research shows it’s a far better alternative to separation and foster care. Martin, a professor at UBC’s School of Population and Public Health and former prison physician, says it’s critical for infants’ physical and psychological development to breastfeed and form a healthy bond with their mothers after birth. The BC Supreme Court agreed and added that the damage caused by forced separation violated children’s constitutional rights. The court ruling came after the Mother Baby Program- as it was referred to in the court case- at the Alouette Correctional Center for Women (ACCW) was shut down in 2008. The program, which Martin helped found along with BC Women’s Hospital, had been running successfully since 2004. “Over the three years that I was prison doctor, there were no episodes at all or any concern for the safety of the children,” says Martin. The children’s safety and wellbeing has been Martin’s guiding ideal since the 2013 Peter Wall Roundtable Bonding Through Bars, which Martin led as a Co-Principal Investigator. “One of the predominant findings that emerged through [the roundtable] proceedings was the need to focus on the best interests of the child,” says Martin. In addition to benefitting the children, Martin says the mother child-unit completely transformed the prison and inmates. As for the women in the program, Tole says their recidivism rate of was the best she’d seen in her 37 years of working in corrections. Out of the nine women who had their babies at the ACCW, Tole says only one returned to prison. Tole also noted there were financial savings to the state by keeping the mothers out of prison and children out of foster care. The court also acknowledged the physical and psychological benefits of the program and claimed that its closure violated the rights of children and mothers provided Canadian Charter of Rights and Freedom. “We saw [the court’s decision] as an opportunity for us to influence the mother-child unit in Canada,” says Martin, who’s also the director of The Collaborating Centre for Prison Health and Education (CCPHE) at UBC. Soon after the ruling, Martin and the CCPHE invited more than 50 delegates from over 40 institutions to write guidelines for mother-child units across Canada. Several of the delegates were the same delegates that attended the Peter Wall Roundtable: Bonding Through Bars and Martin says the roundtable principles became a core theme of the guidelines. Other attendees included wardens from New Zealand and New York, the BC Ministry of Children and Family Development, the Aboriginal Mother Centre Society, midwives, physicians and several members from BC Corrections. Over the course of two days, the delegates divided into four panels and discussed the best way to implement and maintain mother-child units. They came up with a list of guiding principles that included the best practices for dealing with pregnancy, birth, medical care and education within a correctional facility. The guidelines also laid out suggestions on how to help women plan for release and how to best continue evaluating and researching mother-child units. The organizers put together a draft and allowed every delegate to view and comment on it before a final draft was produced. The CCHPE then officially launched the guidelines on September 10, 2015 and received endorsements from over 20 of the participating institutions including: the British Columbia Civil Liberties Association, British Columbia’s Women’s Hospital, the First Nations Health Authority and the New Zealand Department of Corrections. Some endorsements were noticeably absent Martin says, including those of every BC Ministry that attended the meeting. “The urgency behind [those endorsements] is that even though we have this court ruling, social workers on the ground won’t be getting the support and guidance they need to make the right decisions,” says Martin. She pointed to a case this summer when two indigenous women at ACCW both had their babies apprehended hours after birth. Martin says Canada’s federal correction facilities have already embraced the program and have babies in three separate facilities. Meanwhile, a fully-functional mother-child unit sits empty at ACCW.